The UCSF Brain Health Assessment (BHA) was developed for the efficient detection of mild neurocognitive disorders that present to primary care. This assessment, administered on a tablet, evaluates cognitive skills that are commonly affected by neurocognitive disorders including memory, executive/speed, visuospatial, and language. An optional 3-minute informant survey is also available to provide information about the level of functional impairment and behavioral changes. The BHA can be administered in 10 minutes, and scoring is automated. The BHA is validated for use in research and dementia specialty care centers. It is not yet fully validated for use in primary care. Kate Possin is the Director of the Consortium for Detecting Cognitive Impairment, including Dementia (DetectCID), and the Principal Investigator of the UCSF Brain Health Assessment project. Dr. Possin’s research program is focused on improving the detection, diagnosis, and care for people with neurodegenerative disease. Dr. Possin has investigated cognitive impairments and their neural bases in neurodegenerative diseases including Alzheimer’s disease, Parkinson’s disease, Lewy body dementia, Huntington’s disease, chronic traumatic encephalopathy, and frontotemporal lobar degeneration. She has designed and developed cognitive measures for early diagnosis and disease monitoring, including tablet-based measures that are easy to use in everyday clinical and research settings. In addition, Dr. Possin directs the Care Ecosystem, a supportive care program for people with dementia and their caregivers. Dr. Kramer is a Professor of Neuropsychology in Neurology and the Director of the Memory and Aging Center Neuropsychology program. He earned his doctorate in psychology at Baylor University and completed a postdoctoral fellowship in neuropsychology at the Martinez VA hospital. Dr. Kramer is board certified in clinical neuropsychology. Dr. Kramer has been extensively involved in studying the cognitive changes associated with brain disorders for the past three decades. He has co-authored widely used neuropsychological measures of memory and executive functioning. Much of his work has been devoted to identifying the different ways in which aging and neurodegenerative diseases affect memory and other abilities and in utilizing these differences to improve differential diagnosis in clinic. Presently, Dr. Kramer's active areas of research use neuroimaging, neuropsychology, neuroimmunology, and genetics to study the underlying biological mechanisms of cognitive aging, the cognitive effects of cerebrovascular disease and frontotemporal dementia, and the relationships between cognitive functioning, behavioral control, and reward systems. Dr. Kate Rankin specializes in the neuropsychological and neurologic underpinnings of human socioemotional behavior in healthy aging and neurodegenerative disease. She studied psychology and philosophy at Yale for her undergraduate work and received her PhD in clinical psychology from Fuller in Pasadena. In her work at the UCSF Memory and Aging Center Dr. Rankin developed a comprehensive battery of tests to measure socioemotional functioning in cognitively impaired patients that was adopted at the national level by NIH Alzheimer’s Disease Coordinating Centers to improve diagnostic accuracy in diseases like behavioral variant frontotemporal dementia, semantic variant progressive aphasia, progressive supranuclear palsy, and corticobasal syndrome. Her research utilizes quantitative structural and functional brain image analysis to examine the neural substrates of empathy, theory of mind, personality, and the comprehension of social signals for sarcasm and deception. She also has led the data/biostatistics and bioinformatics cores of a number of center grants and privately funded research consortiums, and specializes in the development of strategies for aggregating cross-disciplinary data and analytic processes across labs and institutions to facilitate scientific collaboration. She is a leader in the UCSF-wide Precision Medicine initiative, and advises on a number of UCSF committees and boards promoting digital health and the allocation of computational resources towards improving research and clinical care. Michael Schaffer brings expertise in software development, systems architecture, and technical team management to advance the educational and research goals of our center. With more than 35 years of software development, technology strategy and management experience, Schaffer has led many diverse teams in the design and implementation of a wide variety of technology-based projects. As an independent consultant, he has advised many clients in system architecture and organizational design. He also performs technical due diligence for private equity and similar investment funds. Schaffer serves as Director of Technology at the UCSF Memory and Aging Center. He leads a small team in the development of technology solutions that support the research and clinical care of the center, including a Salesforce-based call center, tools for automated neuroimaging processing and data visualization, and the development of tablet-based cognitive assessment tools. His team also manages a virtual cloud infrastructure that provides high-performance storage and virtual workstations to support the computational needs of our researchers. From 2001 to 2009, Schaffer served as Vice President of Engineering and Chief Technology Officer of Alibris, Inc., the leading independent marketplace for new and used media products. At Alibris, he was responsible for all software design and development activities, and the technical operations of a 24/7 ecommerce operation. He led multiple platform migration projects, including moves to a new accounting system, a new inventory system, and a new website application platform. From 2007 to 2015, Schaffer taught the “Professional Skills Workshop” to second-year master’s students at University of California, Berkeley, in the Graduate School of Information. That course taught all sorts of business skills, including project and people management, presentation & meeting facilitation skills, and the basics of business law and accounting/budgeting. Dr. Anna Chodos is an Assistant Professor of Medicine in the Division of General Internal Medicine at Zuckerberg San Francisco General and the Division of Geriatrics, both within the Department of Medicine at UCSF. Her clinical work is in both general primary care and in outpatient specialty care in geriatrics, and her academic work is focused on understanding the unmet needs of older adults who are seen in primary care in the safety net and improving clinical programs. She is the Co-Principal Investigator of the Geriatrics Workforce Enhancement Program, which is training health care providers and social service providers in geriatrics principles. She is also the medical director of the outpatient Geriatrics Consult Service and Geriatrics-Neurology Clinic at Zuckerberg San Francisco General Hospital. She is board certified in Geriatrics and Internal Medicine. Dr. John Neuhaus, Ph.D is Professor of Biostatistics, Department of Epidemiology and Biostatistics, University of California, San Francisco. In addition to his Ph.D. from University of California, Berkeley, he also holds Master’s degrees in Biostatistics and Operations Research, also from Berkeley. 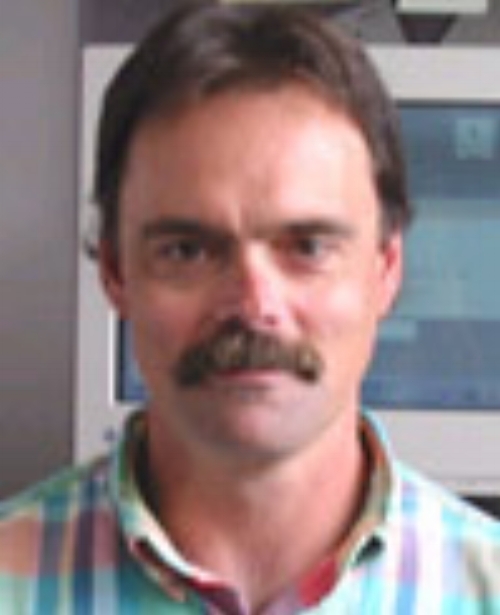 Dr. Neuhaus has wide-ranging experience in both the development of statistical methodology and the novel application of advanced statistical methods in collaborations spanning 30 years. He is an internationally recognized expert at multi-level and longitudinal modeling and the co-author of the text, Generalized, Linear, and Mixed Models. He has published extensively on the effects of misspecification of models and their impact on interpretations as well as using between and within covariate decompositions to elucidate contextual influences such as neighborhood effects. He has extensive experience with complex correlated data such as those involving complex sample surveys and family structure. He has been the primary statistician for the UCSF Memory and Aging Center for over 15 years. Dr. Farias is Professor of Neurology. Her background is in Clinical Psychology with specialization in Neuropsychology. She directs the California State Alzheimer’s Disease Center at UC Davis, Sacramento and serves as Co-Leader of the NIH-funded UC Davis Alzheimer’s Disease Center’s (ADC) Clinical Core. The UCD ADC will serve as one of the recruitment sources for DetectID with particular emphasis on recruiting Latino Spanish and English speakers and other diverse older adults including those with low levels of education. Dr. Farias is also developer of the Everyday Cognition scales (ECog) – one of the assessment tools being evaluated as part of this project. The ECog has been shown to be sensitive to early manifestations of Alzheimer’s disease and related disorders, and to predict risk for disease progression. 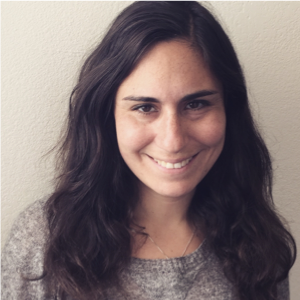 Alissa Bernstein, PhD, MPH received a doctorate from the UC Berkeley-UCSF joint program in Medical Anthropology, a MPH at UC Berkeley, and a MA and BA in Cultural and Social Anthropology from Stanford University. She is currently an Agency for Healthcare Research and Quality (AHRQ) Fellow through the Philip R. Lee Institute for Health Policy Studies at UCSF, and a senior Atlantic Fellow at the Global Health Institute. Her research, using mixed Qualitative and quantitative methods, focuses on improving caregiver support for family caregivers of people with dementia, and on building and assessing tools to help primary care providers better assess, diagnose, and manage dementia in the primary care setting. Elena Tsoy, PhD, was awarded her PhD degree in counseling psychology from University of Massachusetts, Boston. 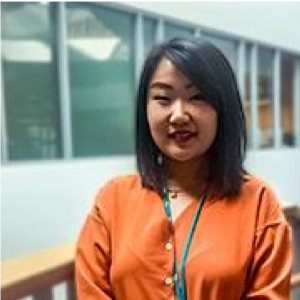 She completed her predoctoral internship in clinical psychology at Tewksbury State Hospital and started her postdoctoral fellowship in neuropsychology at UCSF Memory and Aging Center in 2018. She works with Dr. Katherine Possin on validation and implementation of cognitive assessment tools to support monitoring and diagnosis of neurodegenerative disease in primary care. Dr. Tsoy’s primary research interests include early detection and diagnosis of neurodegenerative diseases using computerized cognitive measures along with advancement of dementia diagnosis and care in underrepresented populations. Possin KL, Moskowitz T, Erlhoff SJ, et al. The Brain Health Assessment for Detecting and Diagnosing Neurocognitive Disorders. J Am Geriatr Soc. 2018 Jan;66(1):150-156. doi: 10.1111/jgs.15208. PubMed PMID: 29355911. DetectCID is a collaborative research effort directed and funded by the National Institute of Neurological Disorders and Stroke (NINDS) and the National Institute on Aging (NIA), components of the National Institutes of Health (NIH).